I never thought I’d live to see the day I regretted not visiting Oklahoma City. Yet in a roundabout way, Wizards of the Coast made this happen by hosting a Modern Grand Prix there. This year’s fourth Pro Tour season is bookended by Modern events, kicking off in Oklahoma City and wrapping up in Pittsburgh near the end of November. And there are zero Modern Grands Prix in between. Solid piece, Sig. This winter will also be a good to time to buy into MM15 because that’s when wotc usually announces the release of their summer product – whether MM16, Conspiracy, or something else. I’d feel much safer acquiring MM15 reprints knowing that MM16 isn’t going to be a thing, which it probably won’t…but just to be sure. Do you have any thoughts on what versions to pick up of these modern staples? Right now MM15 versions are the cheapest, at least partly (I’m guessing) because of the perceived low quality of MM15 prints. But will increasing demand correct those differences? If so, then MM15 is definitely the way to go. If not, then it’s less clear to me. Thanks for your comment and questions. It’s not so clear-cut, unfortunately. My gut would say that with MMA copies often selling for MORE than their original counterparts, maybe MM15 cards would follow a similar trend. But print quality is SUCH a concern, it may overrule this trend. I suppose it all comes down to grading, in a way. If you trust a retailer’s/seller’s grading, then they should be honest about whether or not a card’s quality is poor. Certainly I could see this being a particular concern for foils. But the same rationale could apply. I plan on acquiring a few MM2015 pieces come this winter, if that means anything :). Hopefully it works out! We can be fairly confident there’s no MM2016 at least, to your point! So I like the risk/reward proposition here. Sorry to hear it :(. I was not involved in this decision, but hopefully the right people see this comment and can adjust as needed. Thanks for the feedback! I have searched but can’t find the answer. 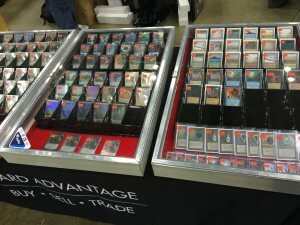 What are you referencing when you say “Old School MTG”? 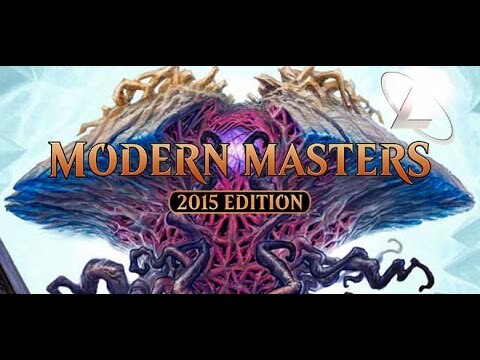 What are your thoughts of picking up older copies of modern masters 2015 reprints. I recently traded my Bitterblossom into an older copy. Debating on doing the same with my Kozilek and Ulamog. Obviously something like sword of fire and ice is an example out of the normal. This is due to new art and increasing the rarity to mythic. I just don’t know if its worth it when it comes to non foils. Also thoughts on theros foil thoughtseizes. Different art, hear people like this art a lot. Plus the Lorywn foils are about $250. So for that price you can have 5 Theros foils. Anyways love your guys articles. It was well worth my protrader subscription. This is my first comment by the way. Thanks. Thanks for the questions! I think there are a number of factors that drive price differentials between original printings and MM2015 printings, so from a financial investment standpoint I think I’d need to dig deeper. As for foil thoughtseizes – definitely seem solid…just be careful. These could be reprinted again in a future Modern Masters product. But until that happens, you likely won’t lose money investing in these. I prefer foil Tasigur, personally, which has no reprint yet. But I could see foil Seize doing well. Thanks for your comment! Sorry it took a while for me to respond! Sorry you answered one of my questions in the post above. So I’ll throw one more your way, kind of completely off base. You mentioned conspiracy above though and it got me thinking. I know sealed product is a slow long term investment but I believe this set has the highest upside. Thoughts on stocking up on sealed conspiracy boxes? I heard they’re out print now, and the price hasn’t seemed to have changed since its release. I am VERY biased against sealed product. They’re tremendously safe investments, for sure, but they also take years and years to pay out. If you want to sink a few hundred bucks into an asset to sit on the shelf for years, then you won’t lose money on Conspiracy boxes. But I just feel like a few well-placed bets on individual singles may be a better play. All-time highs of $9, but breaking into double digit prices yet again? There is a bit of a contradiction there ;). I was just responding to there being a contradiction in what you were saying, it’s not an all time high when it hits $9 and has been double digits before. And yes, there was a time when I was considering it a double digit card in euro, so it most likely was in dollar too.